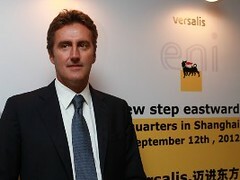 As part of its new international strategy, Versalis,a chemical company wholly owned by Eni, aims to gain a leadership position in emerging markets by leveraging its technological and industrial expertise and its direct presence in the Asia-Pacific region will allow for better monitoring of the industrial and market dynamics, and for direct interaction with clients in sectors of strategic interest. Versalis through its CEO Daniele Ferrari recently inaugurated its first regional office located in Shanghai, China, signalling its official entry to the Asian Market. It considers China as having the biggest market potential in the region. According to Versalis, China is the second largest automobile market in the world, the number of vehicles is expected to increase from 75 million to 215 million vehicles by 2020 (updated data source LMC 2012) which means that demand for tyres will also inevitably grow. Furthermore, market data also indicates a move towards high performance and radial tyres with increasing requirements in terms of energy efficiency, comfort and security. Having established its presence now in the Region, Versalis will be the operator through Eni Chemicals Trading (Shanghai) and Versalis Pacific Trading (Shanghai). These are two newly established companies, wholly owned by Versalis that are designed to operate directly in China, Taiwan, South Korea, Japan, Australia, India, Singapore, Malaysia, Thailand, Indonesia, Sri Lanka, the Philippines, Vietnam, Pakistan and Bangladesh. Versalis� on-going business strategy in Asia will focus on strengthening the elastomer business, in which the company is the second largest manufacturer in Europe and one of the major manufacturers worldwide by leveraging Versalis� proprietary technologies, including its licensing and patents, to establish collaborative relationships with other international players. This strategy will enable Versalis to benefit from the strong elastomer development phase in Asia which has an annual growth rate of 5% to 8%. The recent agreement Versalis entered into with Genomatica and Novamont for the manufacturing of butadiene from renewable sources achieves part of the company�s new business strategy that is focused on making significant investment in the burgeoning green chemical sector. Butadiene is the raw material used to produce rubber for the production of tyres for automobiles, household appliances, footwear, modifiers for plastics and bitumen, additives for lubricants, tubes, construction materials and latex. The venture allows Versalis to take an innovative approach to integrating the traditional manufacturing process for producing butadiene, in which the company holds a second place in Europe, and the new production opportunities offered by the use of bio-technologies in the chemical industry. The partnership is of particularly strong strategic value since it grants Versalis access to butadiene by experimenting with supplies of plant biomass instead of through the customary naphthalene cracking processes, which may prove to be a significant competitive advantage in the medium term. Also recently, the company has formed a joint venture with Petronas, a market leader for the chemical industries in Asia, for the development of its elastomer division, the company�s main sales focus in Asia. The agreement provides for the development and joint operation of a production facility for elastomers, in Pengerang, Johor. The elastomers will be produced at Petronas�s refinery and integrated center for the development, and the production and marketing of synthetic rubbers will benefit from Versalis� technical expertise. It is also in the process of finalizing negotiations with other major international market leaders.